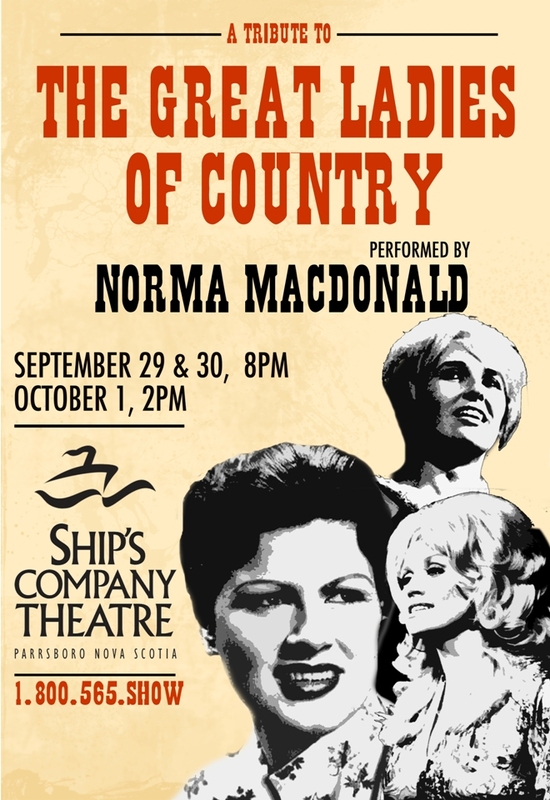 A Tribute to the Ladies of Country performed by the multi-Talented Norma Macdonald. Norma MacDonald is not only a sparkling and talented performer, her voice is pure as gold. She'll play songs by the great ladies of country music; from the saucy to the sultry; From the sweet to the sublime. tammy, Loretta, Dolly, Patsy and more! Come sing along to some top-notch musicians. You'll want to get your tickets for this show early as our tribute shows tend to sell out.